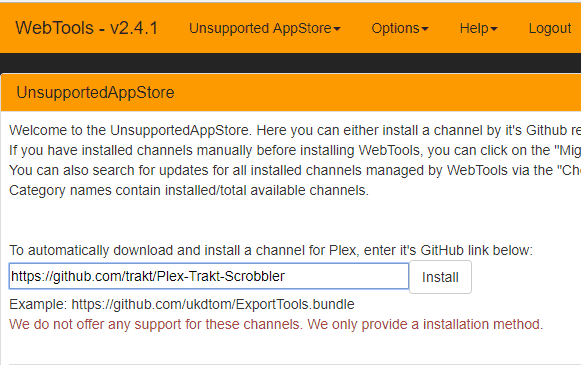 Complete guide of how to install / setup Plex Channels. 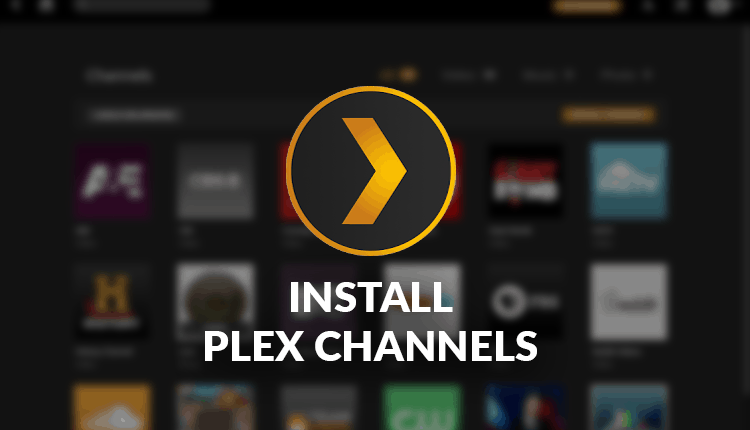 Step by step install instructions for Official and Unofficial Plex Channels. Plex is among the top best streaming services and this year; they debuted their Live TV which makes cutting the cable even easier. To take advantage of this, you will need a Plex Pass subscription which goes for around $5 a month, $40 a year or $120 lifetime. This will also require you to have a regular digital TV antenna and of course a tuner to interpret the signal and then relay it to Plex. Apart from Live TV, being able to catch up with any of your favorite movies and TV Shows on demand makes Plex even more popular. This is made possible by Plex channels, which are either available in the Official App Store or the Unsupported App Store. Setting up your Plex Client to be able to watch any movies you like maybe a little tasking, but this guide is meant to simplify the process for you with step-by-step instructions. Official channels are the channels that Plex has already reviewed and approved them for distribution from the official Plex Store. These channels can be easily installed, and usually, receive frequent updates to maintain compatibility when Plex is updated. Below is a guide for the installation. 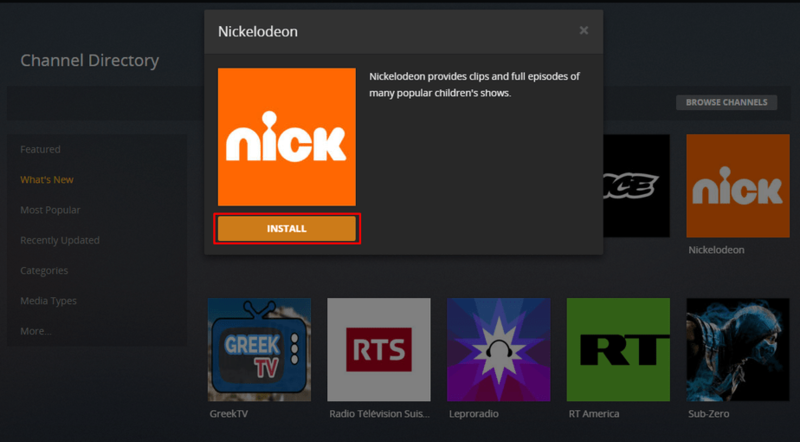 Select a Category, then click a Channel to install. Let’s work with Nickelodeon for now. Once a Channel has been installed, it will appear in the Channels list. Unofficial channels are custom channels that are not supported in the official Plex App Store, mostly because Plex hasn’t reviewed them yet. Some of them are not there because they offer questionable content which Plex doesn’t wish to associate itself with. Nevertheless, they can be added to your Plex and work just like any other channel. Most of the best Channels for Plex are unofficial! Through Plex Forums: The Plex Channels Forum is maintained by Plex and community members can post and share their channels there, as well as discuss any matters Plex. The Unsupported App Store V2: Also the UASv2. The Unsupported AppStore is an unofficial App in itself but works just like an AppStore in that it allows you to install unofficial This App Store is part of Web tools, which is a feature-full Plugin. It’s important to note that the original UAS no longer works, and therefore you should be keen to install the second version (UASv2). First, you will need to install the Plex Unsupported AppStore, following this instructions. In this method, you need to have a GitHub link to the Channel that you want to install. You’ll then just simply paste it here and click install. 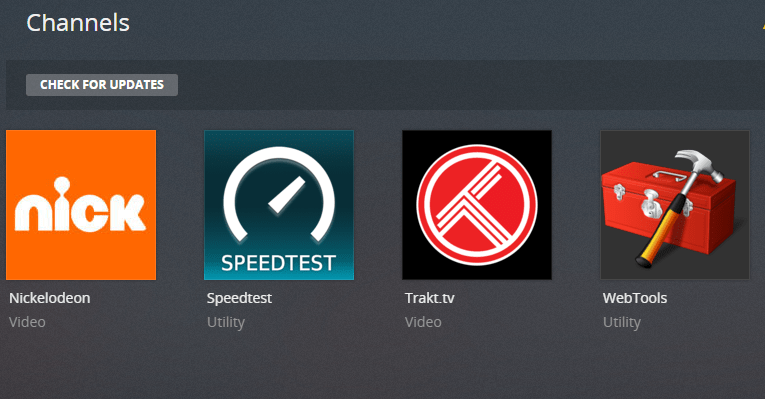 For now, let’s install Trakt.tv which is a great channel for keeping you up to date with everything you watch. Both methods work the same way and will get the job done. You can now enjoy your channels! 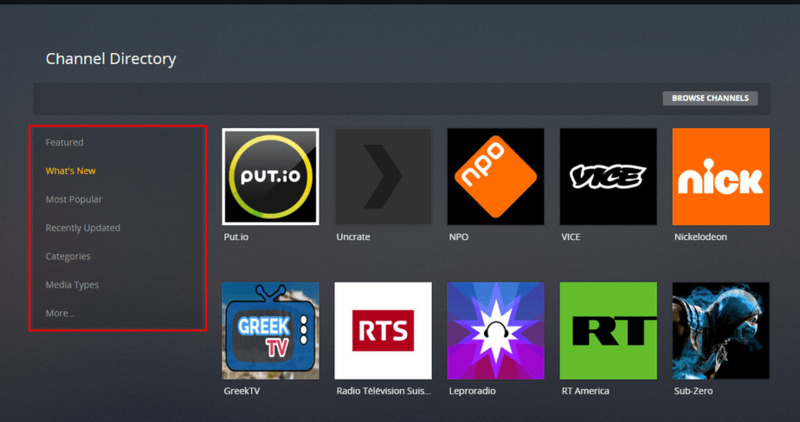 If you are not sure which channels to add, we have a guide for the Best Plex Channels for Movies, Best Plex Channels for Sports, Best Plex Channels for Kids and the Best Plex Channels (Overall). Feel free to check them out. Let us know if this guide was helpful in the comment section below. Will she be able to get these and more TV programs with Evolv TV ? I’m not sure. You can try Live NetTV which has lots of international channels and it’s very easy to setup and use.